Simon Says Make it Girlie! 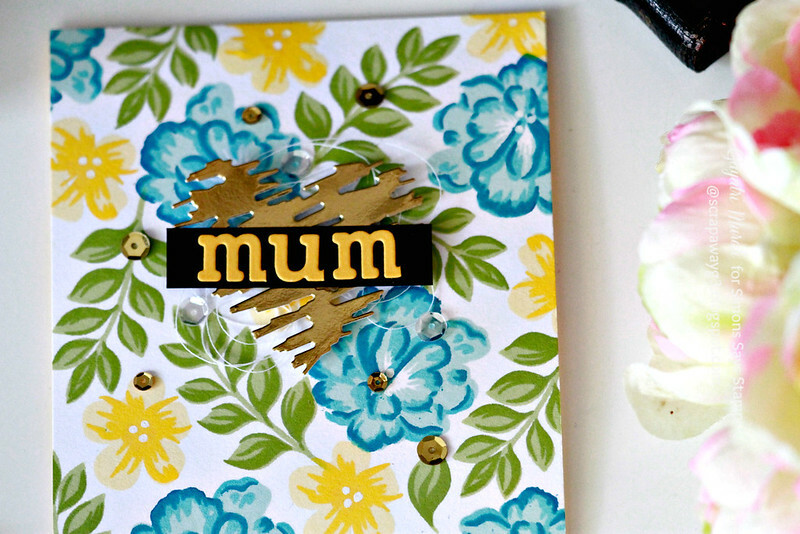 I made a colourful flowery background girlie card. 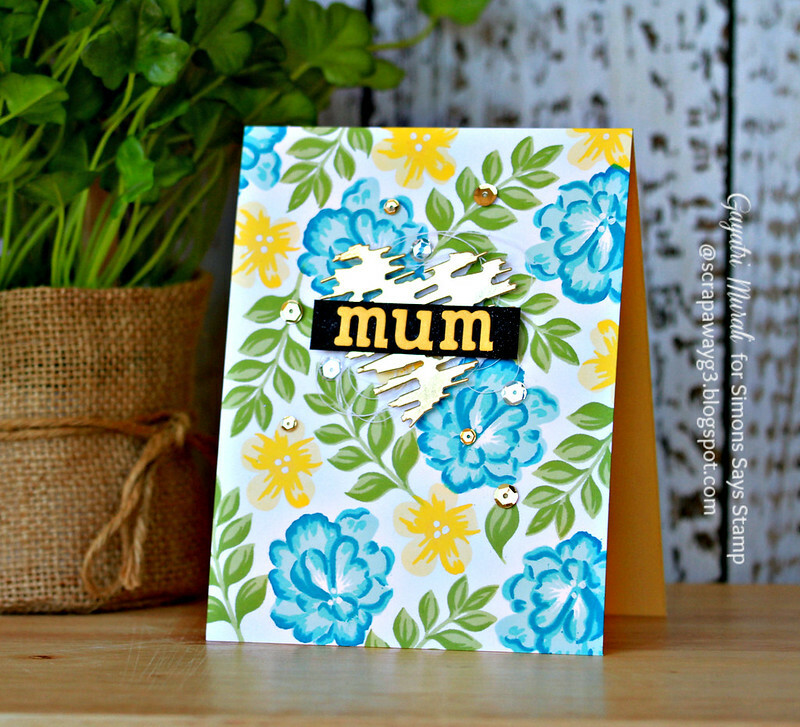 I have used Layering for you Flowers stamp set from Hero Arts to stamp and create my pretty background. LOVE layering stamp sets. They make the best background giving the images shading and depth. I used MISTI and Altenew inks to get even coverage and precision stamping of layers. For the focal point, I have bunched up thread, then gold foiled Scribble Heart die cut from Simon Says Stamp followed by a strip of black card stock with “MUM” die cut using the Block Alphabet die from Simon Says Stamp. I brushed Wink of Stella shimmer on the black strip of cardstock. Finally embellished with Gold Sequins from Pretty Pink Posh. I absolutely LOVE LOVE this stamp set from Hero Arts. Such a beautiful set and with various colour combination and same layout, I made a bunch of them. Unfortunately they were given away before I could take photos. Maybe I will make another set. A beautifully coloured background Gayatri, wonderful colours with you gorgeous sentiment!! BEAUTIFUL card! I not only like your card design using an awesome stamp set, but also think your color combination is awesome…great card!! Just love these blues and yellows with the spring green, Gayatri! 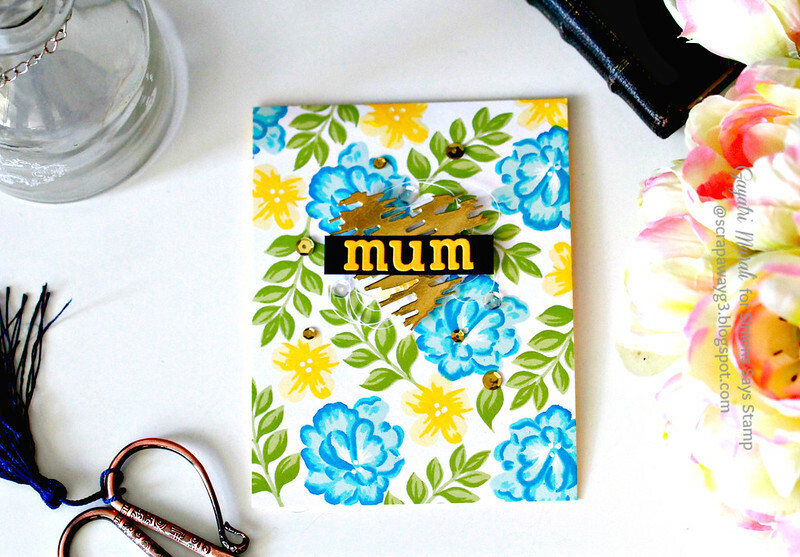 And the modern scribble heart in gold is such an unexpected touch – love it! What a clever idea to use the string behind the heart die cut. Overall such a beautiful card!